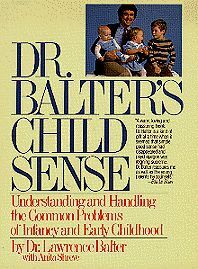 Dr. Lawrence Balter is an internationally renowned psychologist and author of numerous books for children, parents, and professionals. He is recognized for his clear communication of psychological information to the general public. 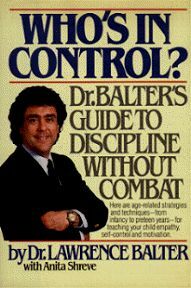 Formerly a contributing editor and columnist for Ladies’ Home Journal, Family Circle, and Sesame Street Parents, Dr. Balter has also been a psychology reporter on CBS TV’s The Early Show, WABC TV’s Eyewitness News, and WCBS TV’s News at Five. He hosted The Dr. Lawrence Balter programs on ABC Talkradio nationally and on WABC Talkradio in New York. He appears on PIX Morning News (channel 11) in New York. He is Professor Emeritus at New York University where he trained child and school psychologists. Dr. Balter has consulted with numerous corporations and educational institutions around the country and has conducted study-abroad programs in Geneva, Prague, and Puerto Rico. 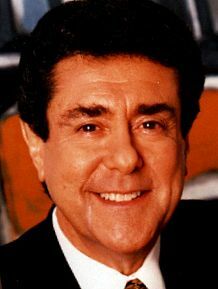 He serves as an Advisory Board member at The Future of Children (Princeton University and Brookings Institution), a Consulting Editor for the National Association for the Education of Young children, a member of the Advisory Board at Roads to Success, a Senior Advisor for the Center for Social and Emotional Education, and a Consulting Editor for the Journal of Media Psychology. Millions of people including health professionals have turned to Dr. Lawrence Balter for his expert advice. He has offered guidance through his books, magazine columns, television appearances, call-in radio programs, and his speeches and workshops. He is a dynamic speaker who blends vast experience and knowledge with a vibrant personality and a refreshing sense of humor. He has been recognized for his ability to convey technical material in a user-friendly manner. He is quoted regularly in magazines and newspapers around the country. Dr. Balter is the recipient of numerous professional awards. Dr. Lawrence Balter can be reached at (212) 473-4329 and lawrence.balter@nyu.edu.